Fraudulent preparation, adulteration and mislabeling of food and beverage products is a major worldwide issue which is currently estimated to cost the food industry up to $40 billion per year. Aside from the economic impact, it can also damage brands, affect consumer confidence and, in the most serious cases, have fatal consequences. Detecting food fraud is therefore essential, and numerous tools have been developed to identify and tackle the problem. Of the technologies available, isotope ratio mass spectrometry provides a powerful means of proving when foodstuffs have been adulterated, what they’ve been mixed with and where they originate from. Around the world, many specialist laboratories have invested in isotope ratio mass spectrometry to strengthen and enhance their capabilities for detecting food fraud. 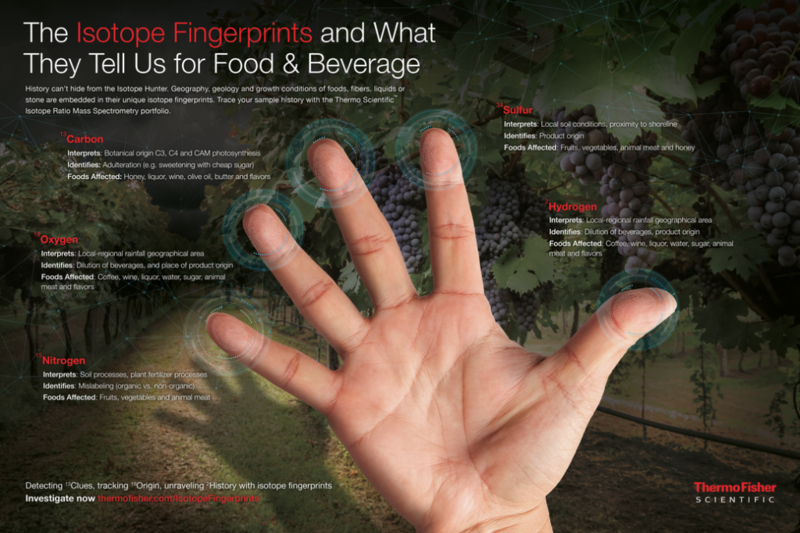 One such laboratory is Austria-based Imprint Analytics, which has been providing expert support to the food and beverage industry for the past five years. In this article, David Psomiadis from Imprint Analytics tells us about how his laboratory helps in the fight against food fraud and how isotope ratio mass spectrometry has advanced their capabilities. Can you present yourself and describe what you do at Imprint Analytics? My name is David Psomiadis and I am the Head of the Laboratory and Business Development Manager at Imprint Analytics GmbH. I am responsible for supervising and managing all operations related to the laboratory, for planning method development to meet customer demands and for reporting scientific results and interpretations to clients. I also lead our business development strategy, brand development and business collaborations within international networks and consortia. I come from Greece, where I completed my PhD in geoscience working with light stable isotopes on environmental and climate research. After conducting doctoral and post-doctoral research in Italy, France and Canada, I have settled in Neutal, Austria since 2013. 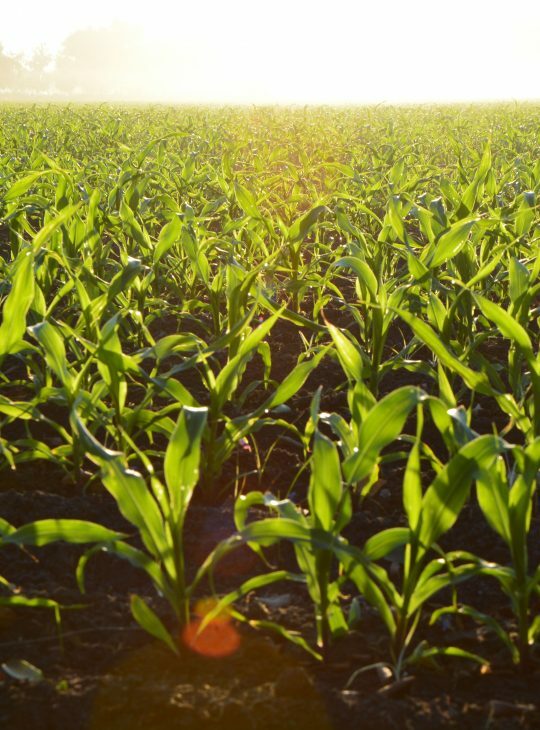 What is your main field of application and what are you looking to determine? What we do here belongs practically to the field of forensic science. We determine fingerprints, called isotope fingerprints, by using one or more stable isotope ratios. These unique fingerprints help us to understand processes, matrices and source of materials in order to support a hypothesis or reject it. Most of the samples we analyze are food samples, but we also work with pharmaceuticals, cosmetics, materials and environmental samples. Our customers come from all possible sectors, both from industry and state authorities. Speaking of food testing, our customers are food retailers, food and beverage manufacturers and producers, food and ingredient distributors and suppliers, as well as regulatory agencies, local and national associations and chambers of commerce / consumer associations. On occasion, we even help private individuals as well. What information do isotopes give you about your samples? Stable isotopes can provide a wide range of information that can help to complete a smaller or bigger forensic investigation. The unique thing with stable isotopes is that they go beyond the standard chemical profile of any matrix, making a sample different from another of identical conventional chemical structure. Sucrose in a natural fruit juice is chemically identical to the sucrose made from sugar cane. Vanillin in an authentic Bourbon vanilla extract is chemically identical to the vanillin made from wood lignin. Or the CO2 from the fermentation in a sparkling wine is chemically identical to technical grade CO2. In all the above examples, it is the stable isotope composition of the compound that makes the differentiation between the two versions of each possible. Similarly, more complicated multi-isotope fingerprints provide significant information regarding the provenance of food, agricultural practices (e.g. greenhouse cultivation, organic farming etc. ), the harvest year or vintage and the composition and source of animal feed (e.g. for meat and milk). Of course, in the latter cases, the multi-isotope fingerprint becomes complex and the interpretation of such tests needs expertise and scientific knowledge to read each one of the stable isotope ratios. How does isotope analysis meet your demands for food authenticity analysis? By definition, food authenticity analysis needs a forensic approach. There is always a claim that comes with the sample/product that needs to be verified. Isotope analysis helps to investigate deeply and find evidence for or against that claim. And in practice, this is indeed the demand from our clients. They need help in order to get an answer regarding the authenticity of the food that they purchase, distribute, sell or control. This answer supports their strategy for purchasing ingredients and raw materials, securing the quality of supplies, avoiding adulterated products across the supply chain and identifying weaknesses and vulnerabilities as well as structuring a risk mitigation plan for their business. What are the needs of routine food labs using isotopes? Since stable isotope analysis is a complex type of testing, the most critical part of an isotope lab is the people. When a science lab turns into a routing testing lab, expertise and scientific know-how must be combined with efficiency and reliable service delivery, a difficult combination indeed. This is the reason why there are not many commercial routine stable isotope laboratories, despite stable isotope analysis being a leader in the food authenticity testing spectrum of techniques. Furthermore, fully automated and high capacity instrumentation is a strong partner, especially when it comes with easy-to-use interfaces and low running costs. 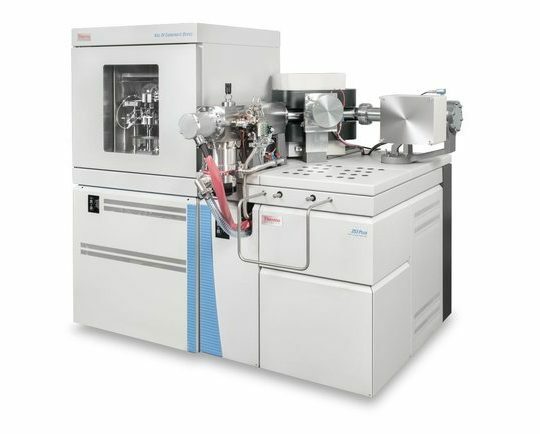 Isotope ratio mass spectrometers are advanced instruments of high accuracy and precision and today the technology offers a brilliant range of arrays that cover the needs of routine isotope laboratories. Last but not least, food testing in general requires standardization and quality assurance and in the field of food authenticity analysis, accreditation according to ISO/IEC 17025 is mandatory for commercial services. Do your analyses need to follow country / region specific regulations? If yes, which ones? There is no mandatory regulation for stable isotope analysis. This is related to the wide range of possible usages, depending on the original question. There are however several single regulations and standards that have been issued by different authorities and organizations (e.g. EU, CEN, AOAC, OIV) which include stable isotope analysis as the recommended method for certain tests and products. In brief, these products are limited to wine and must, acetic acid/vinegar, honey, fruit juices and pulps, vanillin and maple syrup. Nevertheless, we need to emphasize that although standard methods provide a harmonized and recognized means for the application of stable isotope analysis, the current technological possibilities in combination with the real market conditions for low detection limits and variety and complexity of adulterations makes it necessary to go beyond the standards and offer modern advanced methods of food authenticity analysis. How can regulations ensure more transparency and earn the trust of consumers for food authenticity? Certainly, the regulatory context of food authenticity analysis is changing and this is a consequence of the developing concern of the consumers and the food industry about food fraud. It is recognized today that food fraud has an impact on food safety, apart from its obvious economic perspective. A wider range of new official methods and standards will help to harmonize food authenticity testing and convince more stakeholders to adopt it. On the other hand, fingerprinting techniques like stable isotope analysis are not always suitable for standardization. Origin testing for instance can never be put on paper as a standard analytical procedure. A significant change in recent years is the inclusion of food fraud prevention measures in certification guides and schemes. These practically define as mandatory not only to ensure transparency but to take certain measures in order to reduce the risk of food fraud, i.e. ensure food authenticity, and one of the strongest tools for this is to undertake analytical testing using proper methods such as stable isotope analysis. How do you see the future of using isotope analysis for routine food authenticity? Stable isotopes have been used for food authenticity testing for decades now. Commercially, this has been developing rapidly during the last two decades with exponential growth rates during the last few years. What probably makes a big difference is the interest from stakeholders in the food industry. Where it is widely recognized that food fraud affects the lives of many people, advanced methods and techniques like stable isotope analysis are being utilized for the purpose of its prevention. Access to advanced instruments is also a crucial brick in the wall, making isotope analysis extremely strong and versatile, while still being affordable and rapid. Finally, even stronger expansion of routine isotope analysis will be achieved when upcoming digital traceability systems are able to provide much more information regarding the content and origin of food products. This is of prominent importance since, in many cases, the missing part of the investigation is the ability to verify the labelled claims of the product. Simply put, when there is a transparent and clear way to know where a product comes from and what ingredients it should contain, stable isotopes will have a wide field of application for the verification of these claims. What other techniques are available and in what ways are isotope techniques better? There are certainly techniques that can be combined with stable isotope analysis to offer information that isotopes cannot deliver, such as Next Generation Sequencing for species identification or semi-targeted NMR analysis for edible oils. Food authenticity includes several techniques, all of them belonging to the so-called fingerprinting techniques. Most of them are characterized as non-targeted, which means that they are used to provide very strong profiles of multiple parameters that create a strong fingerprint without looking for something specific. The disadvantage of such techniques is that they can only be used practically for screening purposes – looking for outliers, for example. The forensic approach, however, needs strong evidence when dealing with sensitive questions and data, such as brand image and value, product withdrawals, supplier rejection or purchaser reimbursement. Stable isotope analysis is both targeted and non-targeted because it provides a multi-parameter fingerprint/profile while pointing to very specific indices of differentiation or evidence of alteration. This makes the result a strong piece of evidence that can be used for any purpose. Thank you David for your detailed and fascinating insight into food fraud and the application of isotope ratio mass spectrometry for tackling this global problem. To explore our complete isotope ratio mass spectrometry portfolio, look here. Thermo Scientific also offers a wide range of other analytical solutions to help you achieve your food safety, authenticity and QA/QC objectives. If you have any questions about methods, workflows or products for these application areas, from trace elemental analysis and chromatography to organic elemental analysis and high resolution mass spectrometry, take a look at our main Food and Beverage resource page and our Food and Beverage Learning Center. Alternatively, you can contact us with any enquiries you have regarding food analysis via the comments box below.